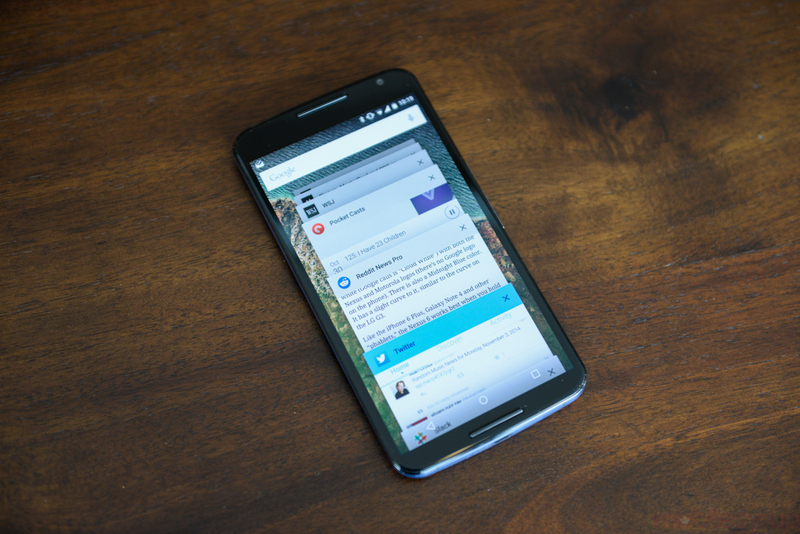 The Nexus 6 has been listed on the Canadian Google Play Store as ‘coming soon’. The smartphone, available in Midnight Blue and Cloud White, in both 32GB and 64GB variants, has been absent from the official Play Store listings since it went up for pre-order in the U.S. on October 29th. 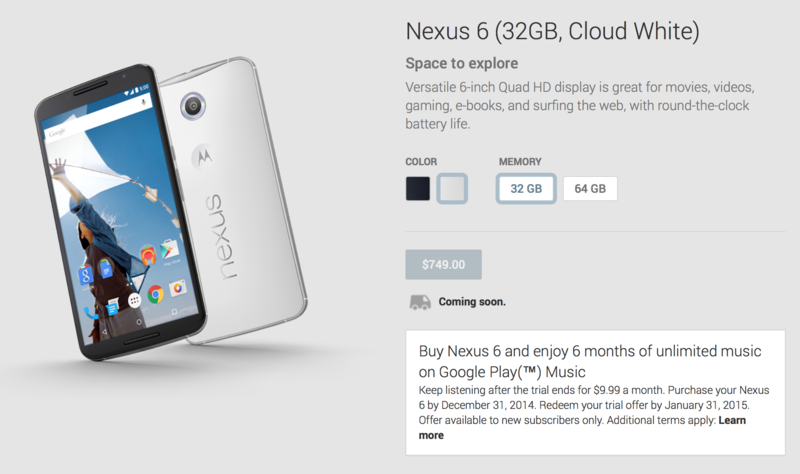 Pricing starts at $749 CDN for the 32GB model and rises to $799 for the 64GB version. There’s no word on when exactly it will go up for sale, but it appears that the device is inventory constrained; the U.S. Play Store has buckled under demand the two times inventory has been refilled. We’ll give you word when the device becomes available for pre-order, but in the meantime there’s one more benefit to buying the handset: every Nexus 6 owner will receive six months of free Play Music streaming if purchased before December 31st and redeemed before January 31st.